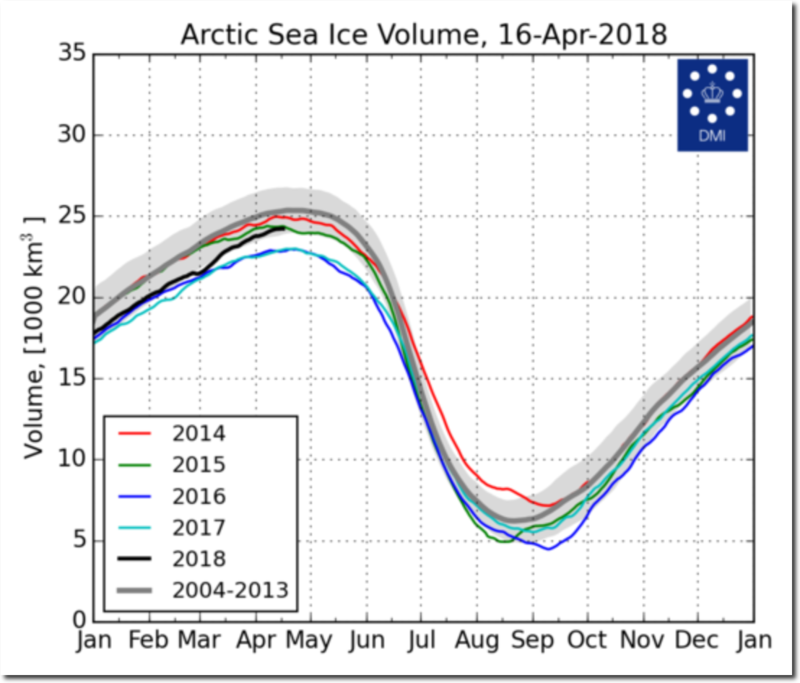 Arctic sea ice volume continues to grow, and is the highest in four years. The coverage of thick ice has nearly doubled over the past ten years. 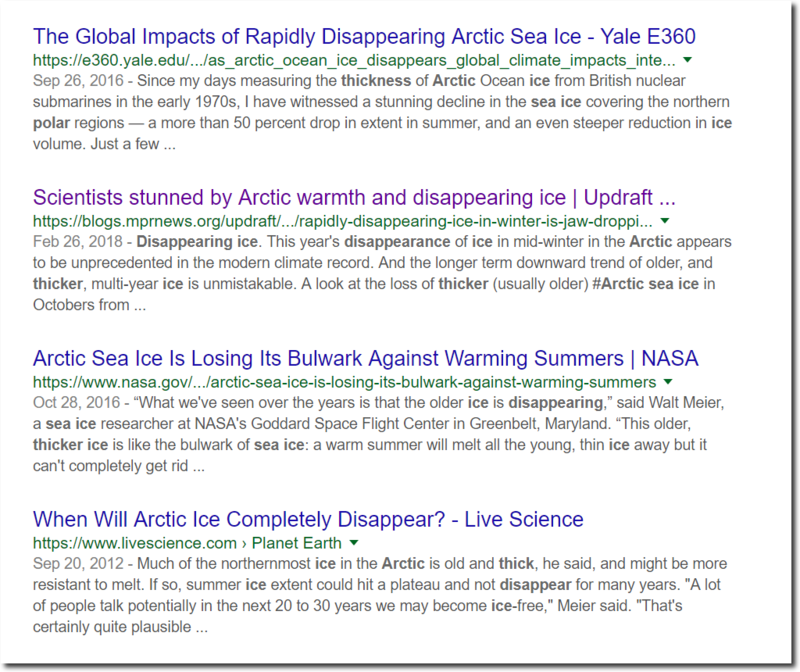 Meanwhile, climate scientists are “stunned” by the disappearing ice. Because their livelihood depends on lying about the climate. ← A not so dead stranded asset: India chooses more coal, cancels 57 nuclear plants.